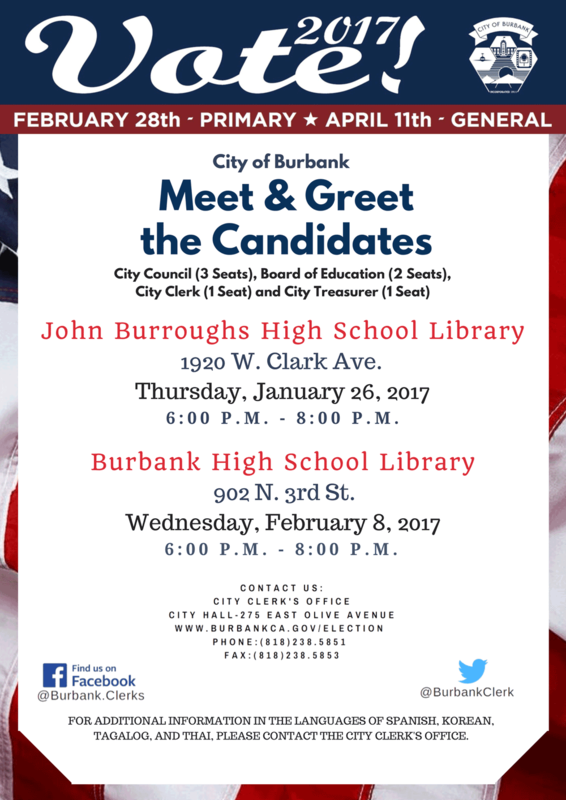 The City of Burbank will be holding two “Meet and Greet” events. One on Thursday January 26th at John Burroughs High School and a second at Burbank High School on Wednesday February 8th. This is your chance to meet Greg in person. Subscribe to further updates here.